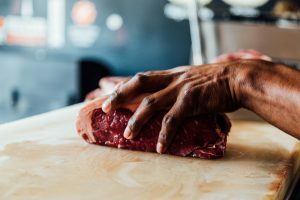 A new report out of Johns Hopkins School of Public Health indicates that U.S. consumers are eating less meat these last few years. A whopping two-thirds of participants reported consuming less meat, particularly red and processed products, for cost and health benefits. Environment and animal welfare benefits lagged behind these reasons. The report goes on to note that the public and environmental benefits of reducing meat consumption are so vast that awareness campaigns are warranted to motivate people to change, particularly in affluent countries like the U.S. where we food choice is most accessible, and where the most energy is used, resulting in the largest carbon footprint per person. Changing habits before a crisis is always easier and cheaper than mopping up afterwards – both for personal health and for the environment. Even though it can be unpleasant, creating sustainable habits now is better than waiting for the disaster to hit.